Remarkable home located 2 blocks from Stroud school. There was nothing spared in the crafting of this custom built home; from the floor to the extraordinary trim work throughout this is truly a gem. The split plan has large bedrooms with a living room that flows into the dining area and kitchen which is decked out with granite, 2 ovens, a warming oven, bar area, and plenty of cabinet space made of stunning maple. The East facing Florida room is complete with central heat and air, and just right for any time of the day. There is a built for sound theater room with a bar area on one side of the second story. On the other side there is a game/bonus room that could double as an extra bedroom, and 2 bathrooms. There's enough room here for everyone! 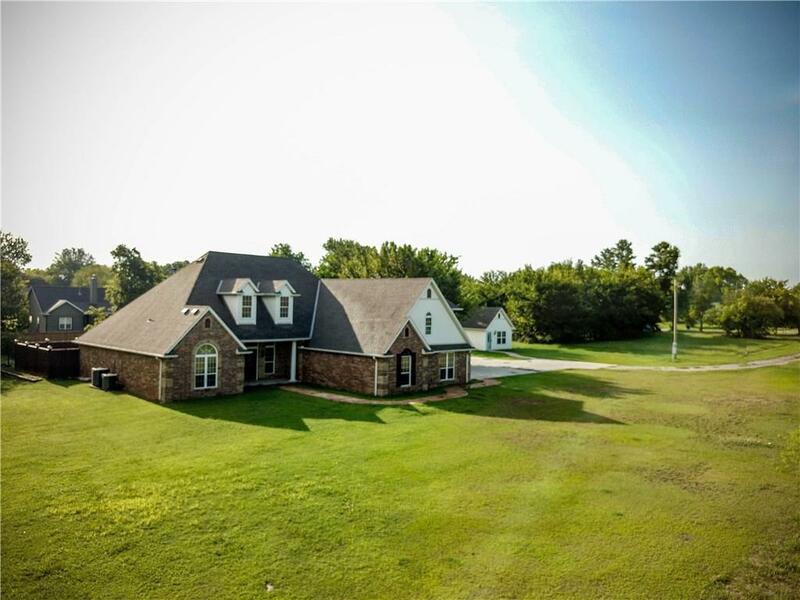 All this sits on a 1.09 acre lot which also has a completely finished office separate from the house, and A slab plumbed and ready for the addition of a shop or whatever one may need. Schedule your private showing today.